Oust Duterte plot is something that is no longer new to us. There have been lots of plots to oust President Rodrigo Duterte already that we have heard of as they circulated around the social media. All of which failed because of the unwavering support of the Filipino people and the incredible hunger for real change in the country. However, this recent information that has been going around online lately is just too much to take. 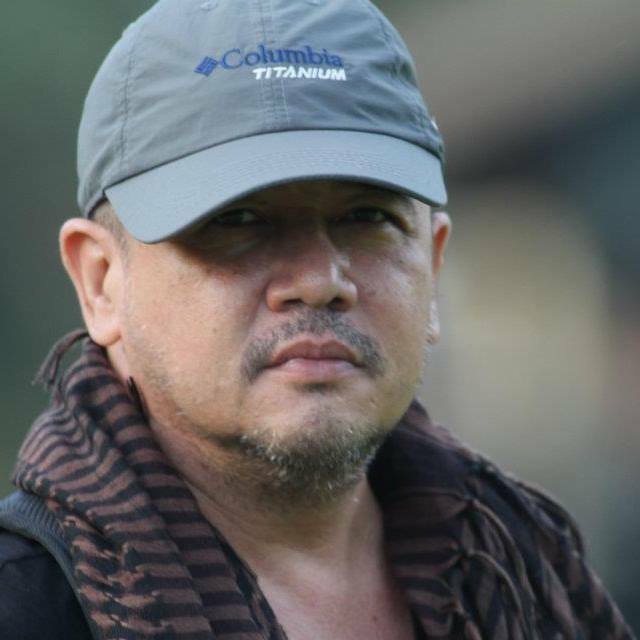 Coming from an Ateneo de Manila University (ADMU) alumnus - based on his Facebook profile - a netizen named Francis Abraham on a Facebook post shared his opinion regarding the alleged connivance that the United States' Central Intelligence Agency or CIA is doing. According to the Ateneo alumnus, the CIA is allegedly conniving with the prominent individuals who share their motives to advance their hidden political agenda. On the said post, Abraham mentioned that the Central Intelligence Agency is conniving with both Pierre Omidyar and George Soros. Omidyar is the Billionaire eBay founder while George Soros is a Hungarian-American business tycoon who is one of the world's most successful investors. If the reason being is for them to pull the strings of whoever they want to for the purpose of manipulating things around and turning them in their favor, it is no longer surprising. It is almost the same with what they allegedly did to the Ukrainian president Viktor Yanukovych that resulted to a successful ouster through the Ukranian revolution. The whopping amount of 'more than 2 million dollars' — according to Abraham — was meant to 'dish out slanted, if not fake news'. Of which all are aimed at turning down President Rodrigo Duterte and his administration. "There is no shortage in these efforts. Pierre Omidyar and his group have funded Rappler with more than 2 million dollars to dish out slanted if not fake news against Duerte and his government. Apart from Omidyar, the CIA through NED has been funding media outfits to write against Duterte. There is no shortage then on foreign funded media organizations to write against Duterte. ", he wrote. "Then there are the international human rights groups that drum up the idea that Duterte and his government have sanctioned massive extra judicial killings of poor drug dependents. Rappler, as early at February 2017 pegged a grossly exaggerated and unfounded number to be 7000 deaths due to the war on drugs. This was echoed by the international media and no less than our very own Vice President Leni Robredo with her own spin, by announcing to the United Nations that there have been 7000 poor people “summarily executed” in the Philippines. The International Community and the Human rights groups believed them. Of course our own CHR headed by former LP Manager Chito Gascon did not do anything to correct this. Rappler has been repeatedly asked from where they get their figures from. To this day, they never answered", the same added. On the other hand, Abraham also cited the efforts that the opposition is actively doing ostensibly. With Trillanes as its attack dog, it continues to paint the country in a black picture under the Duterte leadership. In addition, Abraham said that with all his endeavors to go international and put the country's president in a bad light is the opposition's attempt to make the people around the world believe that the Philippines is all doom and gloom. 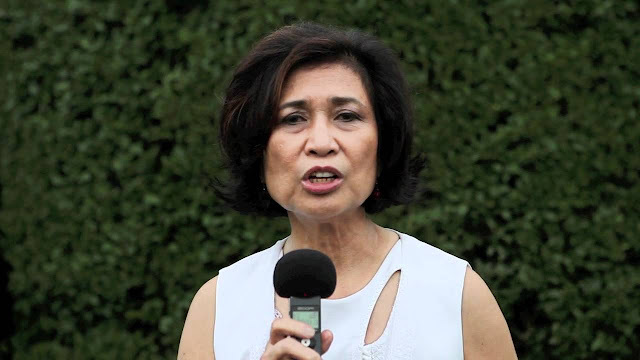 The Duterte supporter suspected though that Trillanes' trips are being funded by a Filipina businesswoman who also happens to be a staunch anti-Duterte campaigner named Loida Nicholas Lewis. "The opposition has been active in this effort. Led by its attack dog Senator Trillanes, they have been churning out press releases and conferences to depict Duterte as a murderer,, corrupt dictator who has amassed a huge fortune, and even a drug lord. I recall Trillanes vowing that the popularity rating of the president will plummet by the end of 2017. It never happened. Dutetre has continued to enjoy consistently at least 80% approval ratings, a phenomenal feat by any standard. It is suspected that Trillanes gets his funding thru Loida Nicholas Lewis, a Filipina businesswoman and staunch anti Duterte campaigner. ", Abraham stated. "A number of political leaders in eastern Europe and Eurasia, including the prime ministers of Hungary and Slovakia and the presidents of the Czech Republic, Serbia, and Macedonia, have complained about the coordination of activities on their soil between the CIA, Soros, and domestic opposition groups. It was this sort of coordination that led to anti-democratic “colour revolutions” in Georgia, Ukraine, Kyrgyzstan, and Macedonia that led to the ouster of democratically-elected governments." Pierre Omidyar, together with the US Government, co-funded Ukranian revolution groups and were successful in the ouster of Ukrainian president Viktor Yanukovych. Apparently, liberal billionaires Pierre Omidyar and George Soros and US government. fund radical groups to help rid countries of leaders not friendly to the US. But what motivates Soros and Omidyar? Of course it must be money. In order to oust a duly elected popular leader like Duterte, the first thing to do is you have to make sure Mainstream Media, the opposition, influential businessmen and a huge mass following is sympathetic to that plan and the masses are persuaded by means of slanted news and propaganda in order to lower the satisfaction ratings of this popular leader. The international community, Human Rights groups and opposition leaders of course will have to put Duterte in a bad light by painting a picture of him as a ruthless murderrer, dictator, a psychopath of sorts. There is no shortage in these efforts. Pierre Omidyar and his group have funded Rappler with more than 2 million dollars to dish out slanted if not fake news against Duerte and his government. Apart from Omidyar, the CIA through NED has been funding media outfits to write against Duterte. There is no shortage then on foreign funded media organizations to write against Duterte. "These media outfits getting substantial amounts from NED are the Philippine Center for Investigative Journalism (PCIJ), the Center for Media Freedom and Responsibility (CMFR), and Vera Files. NED documents show that for 2015—the earliest year for which data is available—2016 and 2017, it gave the PCIJ $106,900; Vera Files $70,000, and CMFR, $278,000. (Another funder of Vera Files is Reporters without Borders, which is also recipient of NED funds.)" Take note that the CIA through NED, Omidyar and Soros were involved in an earlier operation to oust the Ukranian president! The opposition has been active in this effort. 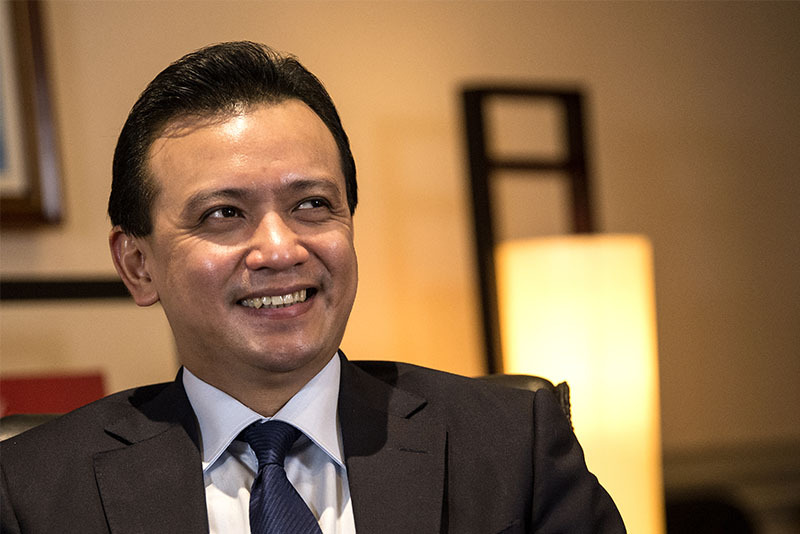 Led by its attack dog Senator Trillanes, they have been churning out press releases and conferences to depict Duterte as a murderer,, corrupt dictator who has amassed a huge fortune, and even a drug lord. I recall Trillanes vowing that the popularity rating of the president will plummet by the end of 2017. It never happened. Dutetre has continued to enjoy consistently at least 80% approval ratings, a phenomenal feat by any standard. It is suspected that Trillanes gets his funding thru Loida Nicholas Lewis, a Filipina businesswoman and staunch anti Duterte campaigner. Then there are the international human rights groups that drum up the idea that Duterte and his government have sanctioned massive extra judicial killings of poor drug dependents. Rappler, as early at February 2017 pegged a grossly exaggerated and unfounded number to be 7000 deaths due to the war on drugs. This was echoed by the international media and no less than our very own Vice President Leni Robredo with her own spin, by announcing to the United Nations that there have been 7000 poor people “summarily executed” in the Philippines. The International Community and the Human rights groups believed them. Of course our own CHR headed by former LP Manager Chito Gascon did not do anything to correct this. Rappler has been repeatedly asked from where they get their figures from. To this day, they never answered. It would help you to know that the international human rights groups like Human Rights Watch and Amnesty International, both harsh critics of Duterte, are funded by no less than (drumroll.....) Mr. George Soros! The unethical situation of it all is evident in the case of Ireland who had ordered Amnesty International to return funding from Soros meant to undermine Ireland’s abortion ban! With the PAID local and international media, the PAID international human rights groups judging Duterte as a killer, WITHOUT THE BENEFIT OF ANY FORM OF LEGITIMATE INVESTIGATION, Duterte is put in a very bad light in the western communities. Given that bad rep, here than comes the ICC. Perhaps it would would be time then to get to give Duterte a "fair" trial via an investigation and trial (if ever) by an international court. There is only one who has jurisdiction. The International Criminal Court (ICC). The ICC has expressed interest in Duterte via a complaint filed by a local lawyer and a lone witness who has been discredited in our own senate investigation. Yet why is the ICC interested in Duterte? If there is PAID media, PAID Human rights groups and politicians. Can an international Criminal Court be paid? Of course! PAID by George Soros! July 15, 2008 (EIRNS)—Billionaire speculator George Soros funds the International Criminal Court at the Hague, which is seeking to arrest Sudan's President Omar al-Bashir. Though the Court is affiliated with the United Nations, George Soros largely directed the lobbying campaign that led to the Court's creation in 2002-2003. The Court's charge of "genocide" against President Bashir carries the special irony that its sponsor, Soros, once worked for the Adolf Eichmann apparatus carrying out the extermination of the Jews of Hungary in 1944. "International Criminal Court: The Justice Initiative works closely with the International Criminal Court (ICC), helping it function as efficiently and effectively as possible. Among other activities, the Justice Initiative assists local human rights advocates in gathering and presenting information of use to the ICC, pursues advocacy and public education with governments to secure support for the ICC, and contributes to building the capacity of ICC staff on a range of issues." The three primary funders of the current International Criminal Court are 1) George Soros; 2) the British empire through the United Kingdom's Foreign and Commonwealth Office; and 3) the European Union's "European Instrument for Democracy and Human Rights," whose initiatives are enmeshed with and co-managed by the Soros apparatus." The President has terminated our membership in the ICC, and rightly so. Duterte does not fear the ICC. The point is, why should we let our president be judged by an International court funded by Soros! We must be aware of PAID media, PAID politicians, PAID Human Rights Groups and a PAID International Court, all foreign funded by OMIDYAR, SOROS AND THE CIA. Duterte knows all about this that is why he warned Soros, as Soros was about to visit the Philippines. "There is a bounty on your head." My dear friends, we must not allow this. Some of our own countrymen have sold out and abandoned their love for country and have turned traitors. They have accepted money to destroy our country and government. Yet, there is a majority, I believe, who truly care and want a bright future for our children.